Thank you to everyone who linked up last week! I said that I wanted to have twenty link ups and we did. Would I be way to ambitious to hope for twenty five this week? But seriously, you all are amazing. I feel like I am going to have to spend all summer trying to get around to making all the wonderful looking things you come up with. In honor of my biggest linky party yet, I have three features this week, two pastas and a dessert. Can you tell what my favorite foods are? 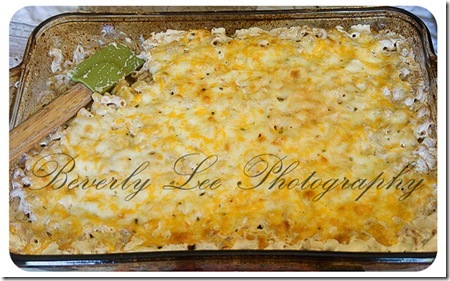 When I first saw this Spinach Artichoke Bake from Mom's Test Kitchen, I thought it was a dip. I then realized it was a pasta created after my favorite dip/appetizer. Even better. I will be making this as part of our menu this week. 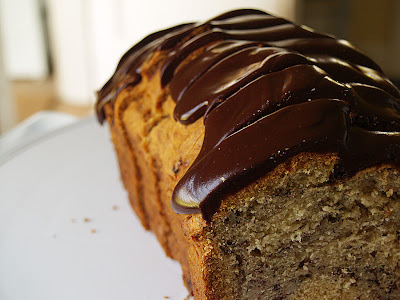 I am not a huge fan of bananas but this Banana Bread With Chocolate Glaze from Something Like Susie Homemaker looked so good that I reconsidered my position on them. Her photo is so simple yet I can almost taste that chocolate glaze. Thanks so much for hosting! That bread, yum!! Thank you so much for featuring my recipe!! I hope you enjoy it and I would love to hear how it turns out for you!! Thank you for hosting! I'm linking up a family favorite - Fried Pickles!! Can't wait to give the Orange, Date & Almond Salad a try. Thanks for hosting this party! I feel like I should bring a hostess gift. You now have a new follower. Everything looks great! Thanks so much for the linky. Stop by and check out my cheap recipes and link up your money-saving recipes to Frugal Food Thursday. And I've linked your recipe to StumbleUpon!